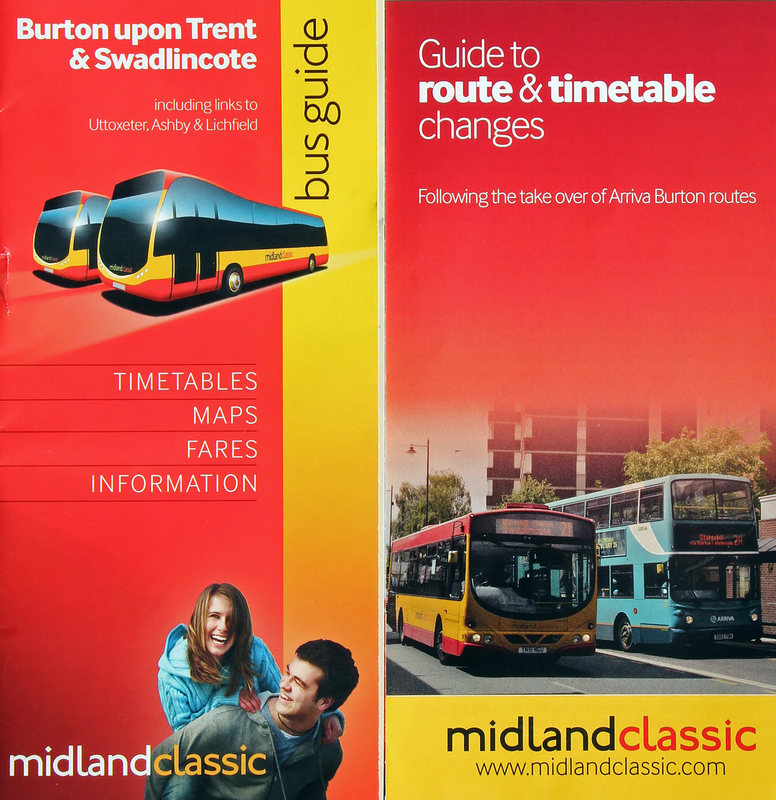 From Sunday 28th August Midland Classic increased its fleet when it took over most of the routes operated by Arriva in Burton-upon-Trent. The deal also included the former Arriva depot along the Wetmore Road plus a number of the single-deck buses. 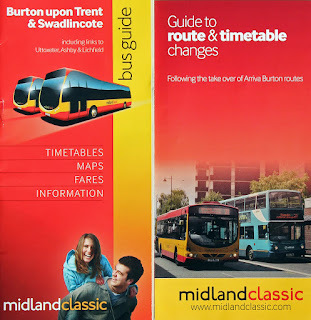 Midland Classic began its services in earnest on Tuesday 30th August after the Bank Holiday Monday, barring the peak time schoolday operations, which will begin in a week or so time. 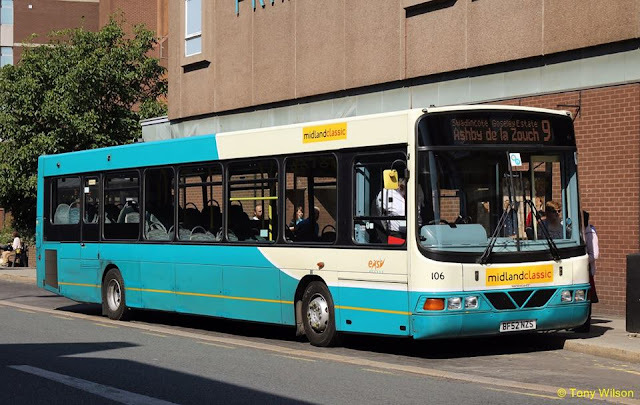 Eleven of the Arriva DAF SB200/Wright Commanders have been acquired and will be repainted into fleet livery within the next 3-months. 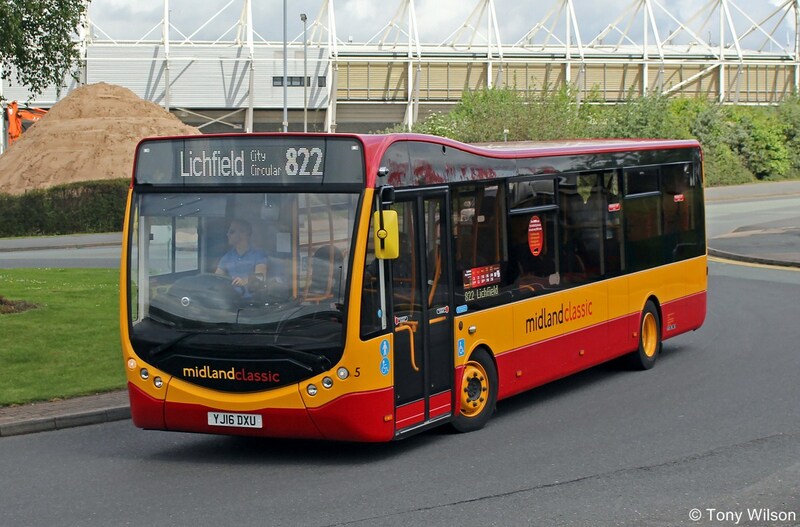 In the meantime they remain in service albeit with Midland Classic fleetnames attached. One has been returned to Derby for attention and is replaced temporarily by fleet number 2711 a DAF/ Wright Cadet. 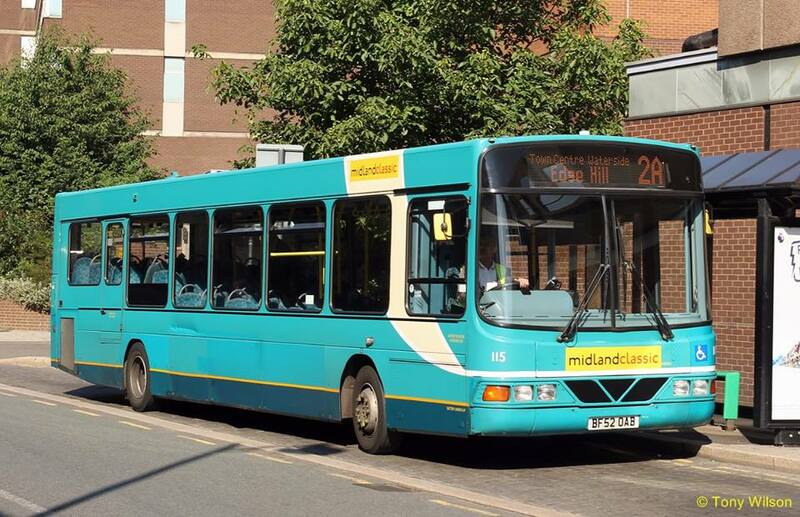 This runs around with two fleet numbers, Arriva's 2711 and MC's temporary number 209. 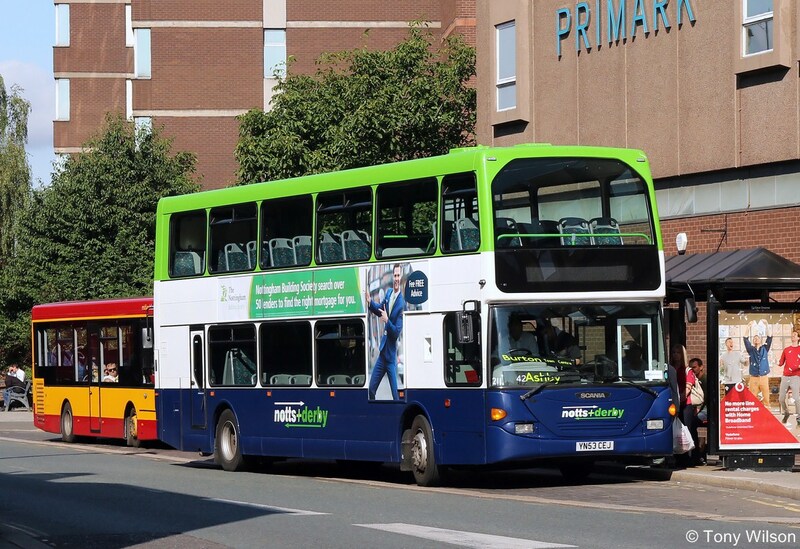 Additional hirings in are two of the former Nottingham Scania OmniDekkas, now with Notts & Derby and number 42 with temporary fleet number 211 is illustrated (below) along with a couple of the DAF SB200s (above) in contrasting Arriva livery. 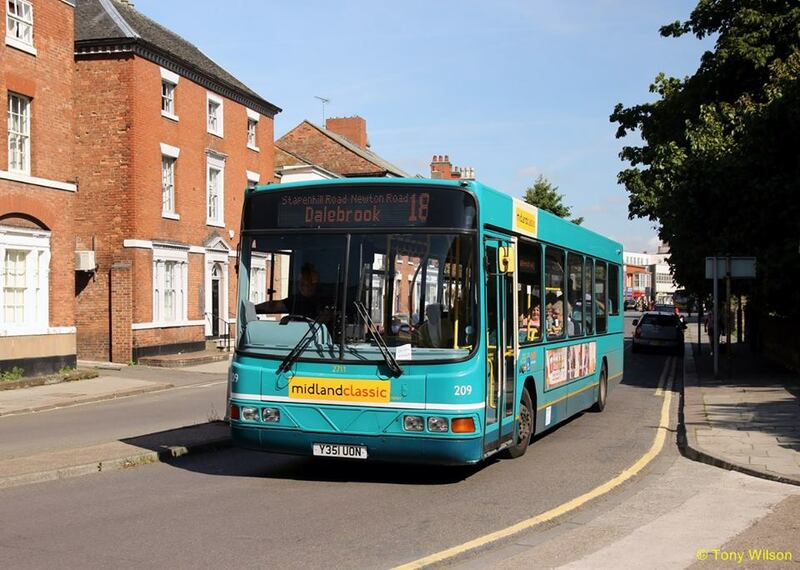 Four new Optare Metrocity single-decks are due out from the 1st September or soon after, being as they are 66-registrations. These are similar to the two already in the fleet and assigned to Lichfield town services.